Edit 3/30/11: Added Poster Ube found for me! Also the actual website information with times for Sasuke Corner. 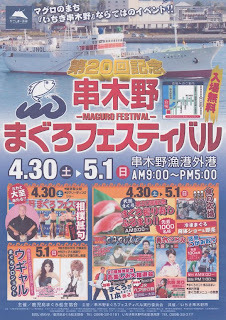 Edit: 4/1/11: Added message from Nagano regarding the proceeds to this year's Maguro Festival. It's been a stressful month in Japan with the 9.0 Great East Japan Earthquake and ensuing tsunami. 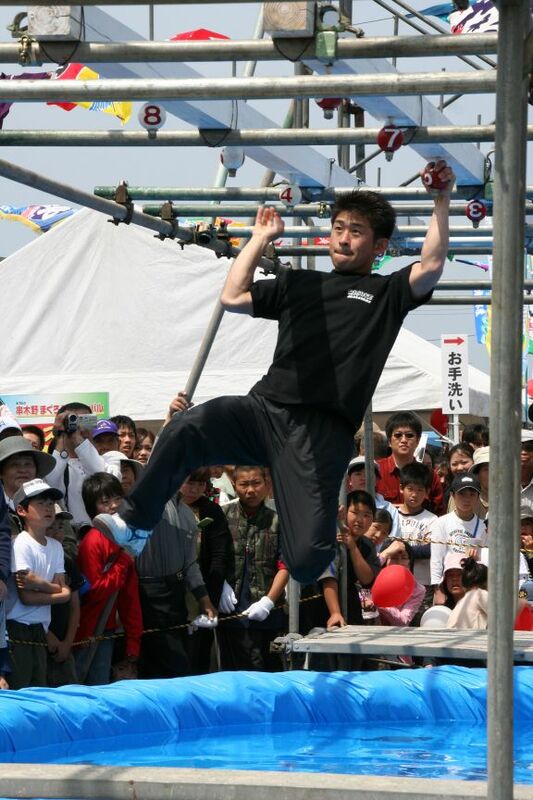 I updated a page with the status of the Sasuke competitors we know and how they are doing. Granted it's difficult getting personal information out of non-celebrities so it's being updated as I get information. In the meantime with no news of Sasuke on the horizon given that they have more pressing issues to deal with.. we do have a local event in the south of Japan (away from the devastated areas) where I have been keeping up with for the better part of 3 years to keep me preoccupied. 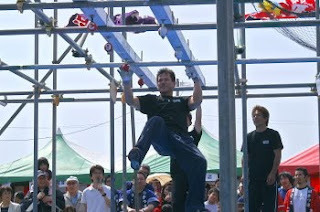 Previous blogs on this event (2010 Here) (2009 - one with pictures and one with video) - and 2008 (Part 1 and Part 2 from Sasuke Maniac coverage). 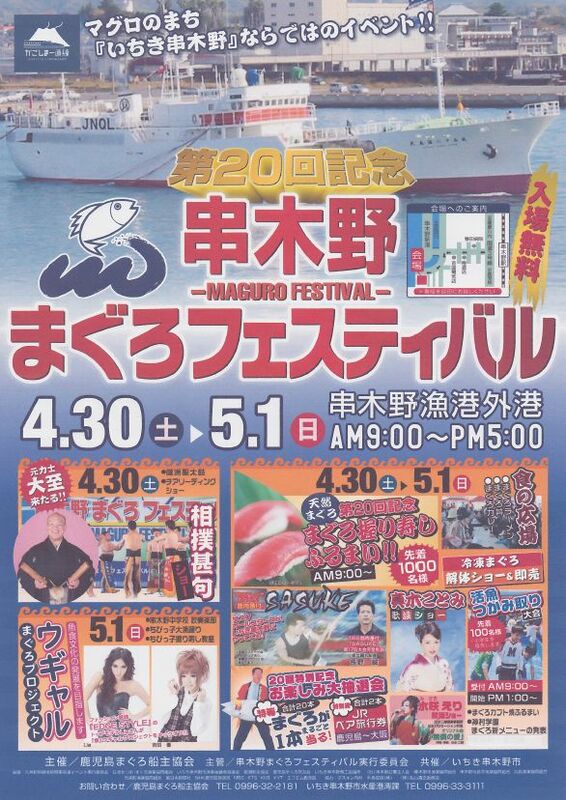 The 20th Annual Maguro Festival 第20回串木野まぐろフェスティバル will take place later this month in Kagoshima Prefecture on Saturday April 30 and Sunday May 1, 2011 in the city of Kushikino. Prefecture event website here. 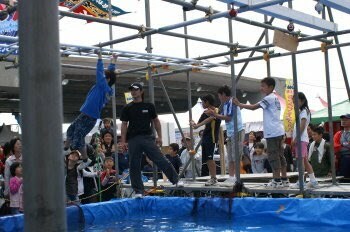 This is a local Tuna event for the port city of Kushikino. It's pretty much a county fair including games for kids, music, food and other activities for the whole family. The past few years the company Nagano works for, Takasui Corp. has participated in the event (since they also use this fishing port) and during that time they had Nagano design and build a Sasuke set where he could demonstrate his skills along with a few of his friends to the local crowd. This year Nagano was able to send me a list of invites going to this year's event in April. I and Takeda and Yamamoto and Yamada participate this year. So this time there will be a total of 4 All-Stars in the Maguro Festival. 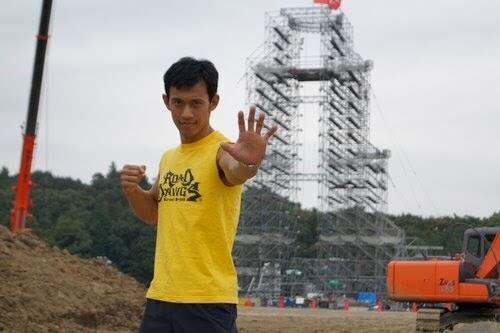 All-Star Makoto Nagano 長野誠 (of course who will be host of this since it's his prefecture and his company sponsoring the Sasuke obstacle course), All-Star Toshihiro Takeda 竹田敏浩, All-Star Shingo Yamamoto 山本進悟 and Mr. Sasuke All-Star Katsumi Yamada 山田勝己. Obviously these names are subject to change, etc. etc. (you know the drill) as with all events of this nature. If anything changes I'll let you know. Usually they have 2 demonstrations they do (there are a few videos of what it looks like in the previous blogs I listed) a day and they do it on both days for a total of 4 demonstrations. Edit: Thanks to Ube from Lost in Ube for finding the website information for me (which was buried in the city website... ) there is an exact time for the demonstrations.. They will again have 2 demonstrations each day. One in the late morning and again in early afternoon on both days. Hopefully they will get a good crowd this year since it's been a difficult year for Japan in general. Hopefully this will boost their local economy. I hope to get pictures and videos again this year. It's the little Sasuke I get between tournaments! Edit: 4/1/11 - Nagano's site was updated with a message regarding the status of everyone after the Earthquake/Tsunami. He also stated that they are going to be doing Disaster relief fund-raising at the event as well during the Maguro Festival (both days). Edit: 3/15/11 - Updated (end of article) to add Lost in Ube blog about English language links to articles and live feeds in English. Also updated status of Maho Tanaka. Edit: 3/21/11 - Updated MM disaster fund-raising efforts. Also updated Takasui's confirmation that Nagano indeed is safe in South Japan. 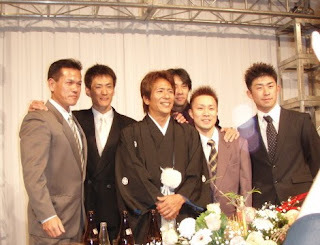 Edit: 3/26/11 - Updated Nagano message from Lee about All-Stars Status and Kanno and Hashimoto. Edit: 2/38/11 - Updated Nagano again. 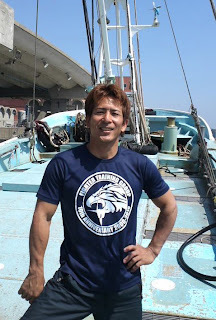 Edit: 4/1/11 - Updated with Nagano message posted on his website. 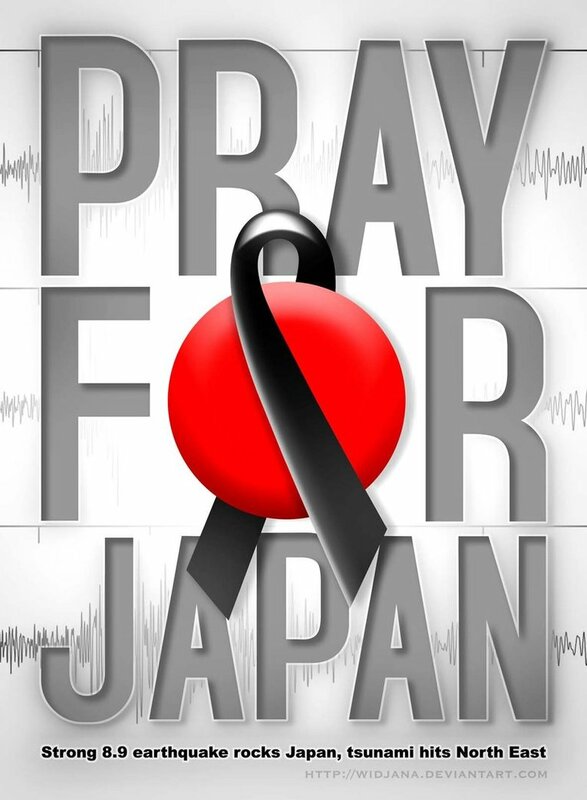 As everyone by now knows Japan has suffered the largest earthquake in that country's history placing it in the top 5 worldwide in the recorded history. The date was Friday, March 11, 2011. A wiki is being updated constantly to keep all the information in one place as accurate as possible. Our buddy Lost in Ube has been updating us as well on his site as to the goings on in his neck of the woods. I have been glued, like many others, to internet reports seemingly as soon as it started which was around 2:40'ish local time in Japan which for me was just after midnight in the East coast on Friday. TBS and NHK have been nonstop in their coverage in Japanese providing ustream direct streams for those internationally to watch local television. Thank you! Other countries have also contributed footage and reports as the days wore on. In the constant background was the thought that binds all of us here to Japan. Our friends and objects of fandom.. the Sasuke competitors. Knowing that they come from all over Japan it was obvious that immediately we all thought of the safety and whereabouts of our favorite competitors during the countries darkest hour. I'll attempt to put update this page with information gathered throughout the past 2 days and as I get more I'll continue to update it. Please note this is general information and where direct information is received I will post accordingly. Be patient as priority is concern for their family and not updating fans around the world. First and foremost are the whereabouts of the Sasuke All-Stars. Most of the people usually forget where they are from even though it's mentioned with every broadcast so I'll do my best to put this in perspective. All-Star Makoto Nagano 長野誠 - He is the furthest south of the All-Stars in the Kyūshū 九州, region of Japan. This area was reported to get relatively small tsunami. Not enough to cause major damage. To my knowledge Nagano was fishing at the time where he would have not felt anything out of the ordinary. Captain Taizo of the main blue ship for Takasui (76th Konpiramaru) (Nagano is captain of one of the transport ships) (for fishing details as to how the fleet is broken up please refer to the Asahi special from back in June where they fully detailed the operation) posted on his twitter account that although the news was frightening they are all doing just fine in the Kagoshima area. He was speaking for the entire fleet which obviously would have included Nagano's ship. Edit: 3/21/11 - As I had expected I did get a confirmation from Takasui (earlier in the week but forgot to update) that indeed no one in South Japan was affected by what happened in North Japan. They thank everyone for their concern but they are all perfectly fine. Nagano included. Edit: 3/26/11 - Further confirmation that Nagano is okay came from Lee Enchi from Taiwan. He called him and Nagano let him know he was fine and so were the All-Stars. 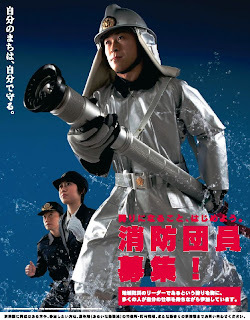 Edit: 4/1/11 - Takasui updated his site (or will shortly) with a letter by Nagano. Next coming up the Japanese chain would be All-Star Katsumi Yamada 山田勝己 who is the Kansai 関西地方 region and from Hyōgo 兵庫県. Also being pretty far south though not getting direct confirmation is is safely assumed that the area was not affected directly by any quakes or tsunami. Next in line would be All-Star Toshihiro Takeda 竹田敏浩 who is from the Chūbu 中部地方, region of Japan specifically from Gifu 岐阜県. While his area had no direct affects as well (remember that for him to even get to Tokyo he has to take a 5 hour bullet train.. yeah.. that far out) he is in a unique situation where he might even be in the recovery efforts due to his association with heavy rescue and helicopter rescue. I do not have direct confirmation of this though the likelihood of this happening is exceedingly high. That said he and his family I doubt were directly affected. 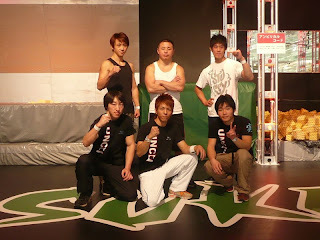 Edit: 3/26/11 - Further confirmation that Nagano is okay came from Lee Enchi from Taiwan. He called him and Nagano let him know he was fine and so were the All-Stars. Takeda is a bit tired and busy but he's okay as well. This of course connotates my prediction that he would be sent north to participate in the relief efforts. Keep him in your thoughts. Unsure when he'll be home. Okay now we are in the affected area. The most familiar region of Japan simply because it's home of Tokyo. This is the Kantō 関東地方 ,region of Japan. All-Star Shingo Yamamoto 山本進悟 is from Tokyo. Widespread information about the effect of the earthquake in Tokyo was limited to a very powerful earthquake felt in Tokyo itself and immediate surrounding areas that cut power instantly and stranded people who were at work at the time (remember it was just before 3pm on a Friday afternoon). Although there has been some reports of up to 40 deaths in Tokyo due to flying debris from buildings (even the still under construction Sky Tree had the tip bent because it swayed so hard) it is considered to have been more of an inconvenience where people were left without power for hours and anyone who live outside of Tokyo but commute into the city were left stranded and either had to stay at work and sleep there or try to walk home taking several hours. Shingo lives within the city limits so it is safely assumed he was affected by the earthquake but is safe. I do not have direct confirmation though perusing through the casualty lists it seems he is fine. Citizens of Tokyo though have felt aftershocks for over 2 days now so they are quite rattled in spirit but trying to get back to normal. Staying in the same region but moving over to the east.. closer to the affected area.. is All-Star Bunpei Shiratori 白鳥文平 is from Chiba 千葉県. Many remember he lives far up in the mountains in Inba Village. That is actually a blessing since he is nowhere near the coast where the tsunamis were being felt. He would have definitely felt all the earthquakes. Remember also that the reported oil refinery fire (Cosmo Oil Company) is in Chiba Prefecture but closer to Tokyo and away from him. It would be safe to assume that the constant shaking is all that the Shiratori family is feeling as they would not be subjected to any tsunami damage. They are just to far up mountains and not near the coast to be affected by the water. Edit: 3/26/11 - Further confirmation that Nagano is okay came from Lee Enchi from Taiwan. He called him and Nagano let him know he was fine and so were the All-Stars. Lee was going to try to call Bunpei personally. As of now he hasn't posted yet about that conversation. All the way to the north near the Arctic circle is the Hokkaidō 北海道 region of Japan and it's lone Prefecture of Hokkaidō 北海道. 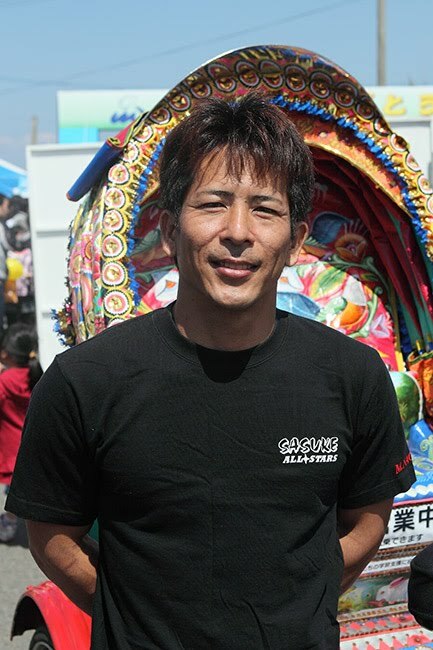 All-Star Kazuhiko Akiyama 秋山 和彦 is from this region. Earlier reports posted that North edge of Hokkaido got 15 feet storm surge. Though the casualty lists only post 1 person to date. It is safe to assume if any evacuations occurred he would have had plenty of time to evacuate. He does live in a coast town (almost 4 blocks from the beach iirc) so I was worried for a couple days until the reports from Hokkaido started to trickle in the news rooms. Being that far north and away from the intense shaking they would have been subjected to wraparound tsunami but not directly affected as Fukushima prefecture has. So I breath a sigh of relief saying that there are no reports from his region that would make me continue to worry. If I hear from him I'll update this. (Cut and paste from the Sasuke 25 Navi) This is the Kantō 関東地方 ,region of Japan. The prefectures in this region are: Ibaraki 茨城県 with 1 representative, Tochigi 栃木県 with 3 representatives, Gunma 群馬県 with 2 representatives, Saitama 埼玉県 with the most representatives at 8, Chiba 千葉県 with 2 representatives, Tokyo 東京 with 7 representatives and Kanagawa 神奈川県 with 5 representatives. There are some reports from other former and current Sasuke competitors. Thanks to Twitter, ameblo and other forms of communication there are some updates. As you remember from your Sasuke 25 navi.. the one that had the prefecture break down.. This are was the 2nd hardest hit but with the most Sasuke competitors by far. Just look at the numbers above. Within Tokyo you have current champioon Yuuji Urushihara 漆原裕治 (UNCLI #3) and a dozen other Sasuke competitors we know and love. As I mentioned with Shingo a lot of power failure and whatnot was felt in this area but to my knowledge everyone we know is alive and coping with the aftershocks. All are former Trial competitors and or have competed in Sasuke. From the list above, Keita Tomino posted his experience of being stranded where he had to walk 4 hours in the middle of the night just to get back home but overall his home and backyard course were perfectly fine and proved it on his youtube channel. Earlier while stranded he took the time to update me in saying that all of his friends (which include the list of Sasuke Qualifiers and UNCLI members including Yuuji) were alive and just fine.. just dealing with what everyone else in the area was dealing with. Lee's photo of part of UNCLI and former Trial Qualifiers who all live in the Kanto Region. This would include everyone in that photo as well thanks to Keita's message from above. As I posted earlier there have been many twitter updates and blogs originating from Tokyo. 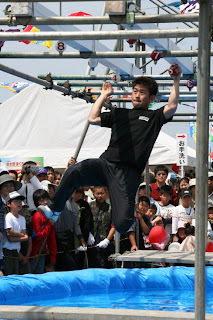 Trampolinist Shunsuke Nagasaki 長崎 峻侑 also posted in his blog that he was fine but worried for his family up in Ibaraki prefecture since he could not contact them. This area has been very hard hit by the earthquake. Edit: 3/26/11 - Further confirmation that Nagano is okay came from Lee Enchi from Taiwan. He called him and Nagano let him know he was fine and so were the All-Stars. He also mentioned that Kanno and Hashimoto are just fine and serves further confirmation by name. Olympic Trampolinist Daisuke Nakata 中田大輔 who posted from his apartment assuring everyone he was alive if not very rattled in nerves. He is not in Muscle Musical right now so he was actually in Tokyo when the quake happened. Muscle Musical マッスルミュージカル members were touring at the time and far south in Tokushima Prefecture at the time of the quake. They of course were fine but very worried for their families of which do reside in Fukushima Prefecture (the hardest hit prefecture housing the epicenter of the earthquake and the highest tsunamis recorded). Fan favorites like Rie Komiya 小宮理英 (who posted on her blog) and her Muscle Musical teammates are just fine (and each posting their own entries) and actually heading back north after finishing their tour. So are the teammates in Las Vegas though they are also trying to find word about their families. Last night Muscle Musical マッスルミュージカル favorite and World Record holder in Monster Box Naoki Iketani 池谷直樹 tweeted that he finally returned to Tokyo and he updated his blog with a long entry. That means the troupe is back in Tokyo and were away from the earthquake prone area and are okay.. if not a bit shaken by what is awaiting them when they return to their homes. Edit: 3/21/11 - Seems Muscle Musical has been doing several disaster fund drives in Shibuya (near the Muscle Musical Theater) that included several Sasuke competitors like Sato Hiromichi, Eiko Kanno and a few other named comedians and of course the MM members. Naoki and Sato have been updating their twitter and websites with the latest pictures, dates and stats of each day's fund-raising. News also from fan favorite and 3 time Kunoichi Champion Ayako Miyake 三宅 綾子 has updated her blog and written to fans saying she is okay but worried about all the damage. Kunoichi veteran Maho Tanaka 田中真帆 is also doing okay. She was finally able to update her blog after a few days. 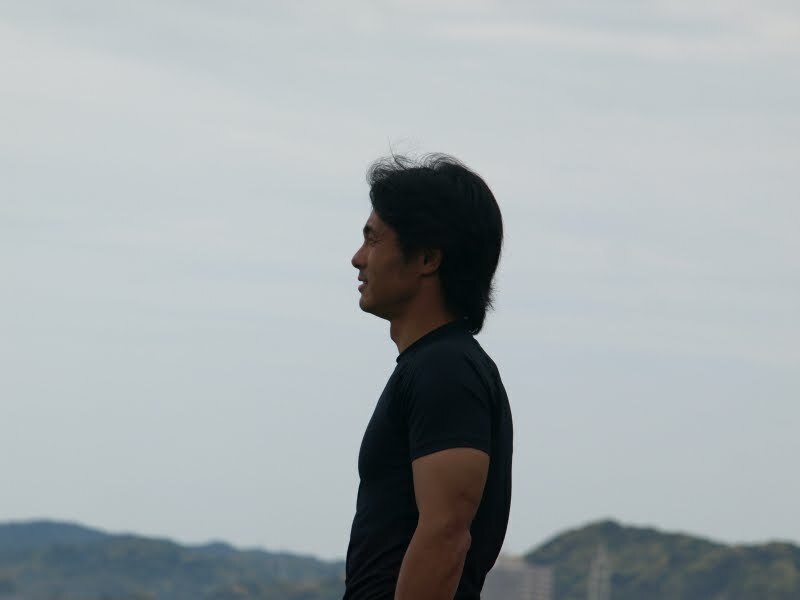 Fan favorite Sasuke Finalist and Pro Sportsman #1 Champion Kane Kosugi ケイン・コスギ was in Tokyo at the time of the quake but is reporting from his website that he is okay. Also, thanks for finding out about Kane, since he wasn't listed yet on this list of tokusatsu actors that nerefir on LJ is compiling (he was in Kakuranger). Some toku stars have been on Sasuke (besides him and Ishimaru), plus she also has links to some of the general Japanese celebrity status lists. More direct message were received by fans which included a message from Shinya who lives in Prefecture of Shizuoka 静岡県., Fan favorite Kenjiro Ishimaru 石丸謙二郎 was in a Tokyo subway when the quake hit as he posted on his blog. Masaki Nomura 野村将希 was in Kyoto as he posted in his blog and they felt a little bit down there. 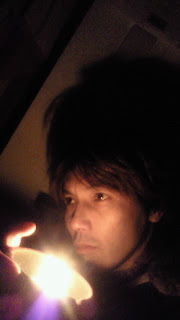 Akira Omori 大森晃 - Comedian Monkikki or Monkickey (モンキッキー) also posted on his blog. 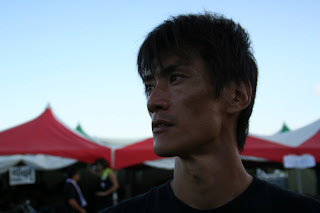 Sato Hiromichi 佐藤弘道 was tweeted and updated his site. Mori Wataru 森渉 was also tweeting and posting on his site. 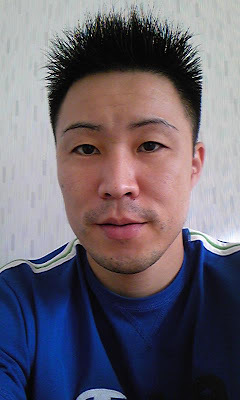 Mr. Handball Daisuke Miyazaki 宮﨑大輔 posted on his blog to please donate funds to the victims. I've had questions about how Lee is doing since Taiwan is so close to Japan. Taiwan's Lee En Chi リー・エンチ is doing just fine. In fact he posted on his blog to please pray for Japan as he's worried about all of his friends as well. 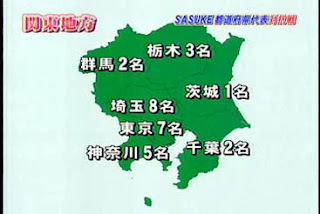 As for the location of the Sasuke course.. Midoriyama Studio City 緑山スタジオ・シティ is where all the other SASUKE have been filmed. That is located further west of Tokyo with a mailing address of Yokohama though the locals just call it West Tokyo. 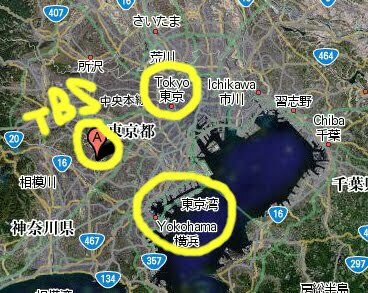 As you can see.. that is a production lot for TBS Japan which is used on a constant basis. Sasuke is not immediately scheduled so the course itself would have never been up. It's only up for the 2 weeks it takes to build the course and after it's used it is immediately dismantled so other companies who rent the space could film their productions. Obviously I haven't posted everyone but for this is all I got so far. If I find more information I'll update this blog. 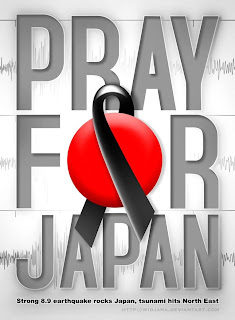 At this time keep them in prayer as the country are still getting earthquakes every 10 minutes almost like clockwork as intense as some major earthquakes worldwide (multiple 6+ intensity and even another 7+) and continues to get tsunami's off the Sendai coast hampering recovery efforts. Never in a million years did I think I'd need to reuse old blogs like the Sasuke 25 Navi blog where TBS/Monster 9 decided to make "Prefectures" a theme on Sasuke. I pray for a quick recovery and hope they find more people alive. For anyone trying to keep up with this information and are tired of the damn sensationalism in the USA coverage.. Ube has helped in finding information for us to listen/read: BLOG POST As for me I watch NHK World.